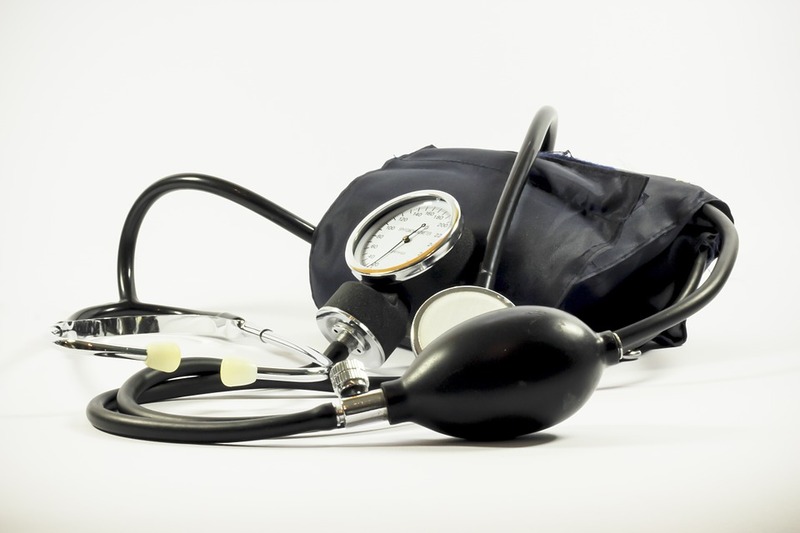 High blood pressure, or hypertension, is a problem that affects many people, but very few take it very seriously, or even know that they have it. It’s called the silent killer, because there are no noticeable symptoms, but it can cause strokes, heart attacks, and kidney failure, if it’s not treated. High blood pressure affects 1 in 4 adults and it’s estimated that, in England alone, there are five million people who have hypertension and don’t know it. Of course, high blood pressure can affect men and women alike, but like so many men’s health issues, we just don’t like admitting that there could be actually something wrong with us! Once you reach the big 40 though guys, even if you are fit and healthy, you should have your blood pressure checked regularly. If you are diagnosed with hypertension, you may be put on medication to keep it under control, but there are ways that you can reduce your blood pressure naturally. For a start; you could quit smoking, stop smothering your food with salt, and get a bit of exercise! In the meantime, there are some foods that will help control your blood pressure, so here’s a list of ten foods that will help you combat hypertension. One of the big risks to men’s health is their diet, but you can eat healthily without giving up everything you like and living off lentil soup or eating like a rabbit. Take the humble spud, for example. If you swap your fries for a baked potato, you would be getting plenty of fibre, and you’d also get a healthy dose of magnesium and potassium, both of which will help keep your blood pressure down. Good old Porridge oats, it turns out, is very good for your blood pressure as well as providing you energy and warmth on a cold winter’s morning. So long as you don’t add too much else to it, oats are in low fat, low in salt, high in fibre, and a whole lot better for you than a fried English breakfast from the local greasy spoon! Many of us don’t get enough vegetables, and this is just one more good reason to try a bit harder to get your five a day. The potassium that is found in leafy green vegetables, like cabbage, kale, and spinach, balances out the sodium in your body and that will help to bring down your blood pressure. Garlic is very good for reducing blood pressure too. In one study, researchers found that, for some people, eating garlic was just as effective as taking prescribed medication. No one is suggesting that you stop taking medication and start sucking on cloves of garlic, but it is another way to naturally bring blood pressure down. Garlic also reduces cholesterol in the blood, so it’s pretty good stuff all round. When you eat beetroot, nitrates in the root vegetable are turned into nitric oxide, which relaxes the blood vessels and so reduces high blood pressure. Personally, I can’t stand beetroot! But, if you can stomach it, a glass of beetroot juice will reduce your blood pressure significantly in just a few hours. Bananas are another food that is very rich in potassium, which balances out the negative effect that sodium has on your blood pressure. Eating more foods, like bananas, that are rich in potassium will reduce your high blood pressure and bananas are great for providing energy too. Keeping the right balance of minerals in your body is the key to maintaining a healthy blood pressure and one way you can boost your intake of minerals is by eating yoghurt. One standard pot of plain yoghurt will provide you with 49% of your daily required amount of calcium, 12 % of the magnesium that are supposed to consume, and 18% of all the potassium you need. Low fat, or no fat, are the best types of yoghurt to eat. Nuts are good for your blood pressure too, but not the heavily salted ones, obviously. Nuts like cashews and almonds are amongst the best, because if their high magnesium content, and many people’s diets are deficient in magnesium. So, grab a bag of unsalted mixed nuts, and that could help bring down your blood pressure. Oily fish, like salmon, or fish oil supplements, contain omega-3 fatty acids, which are very good for cardiovascular health and for reducing high blood pressure. There have been a number of studies that have proven that eating more omega-3 fatty acids can help to reduce blood pressure. You can also get omega-3 fatty acids from olive oil, flaxseeds, and walnuts. A study that was published in the American Journal of Clinical Nutrition found that eating berries can reduce blood pressure. It is believed that the flavonoids that are found strawberries, raspberries and blueberries could be another way to fight hypertension naturally.